Plot Summary: During the summer, Sugiyama travels with his fellow tennis team members to a remote training camp. While there, his step-sister Mio has other training in mind. 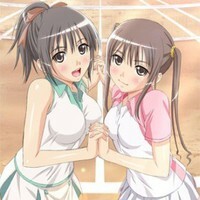 However his doubles partner Saeki has something else on her mind after seeing their training.